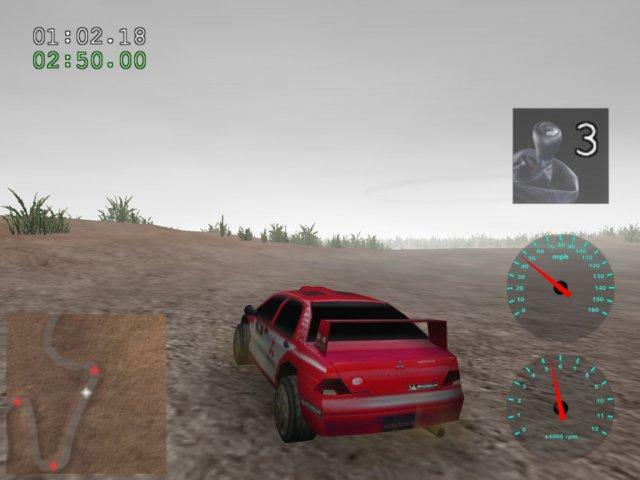 Although, a number of racing games are available but Here is the collection of my Top 3 – favorite racing games that I like to play on Ubuntu (11.10), All are open source and available freely in Software Center. If you have more experience in gaming on Linux desktop then feel free to share your experience (through comment). 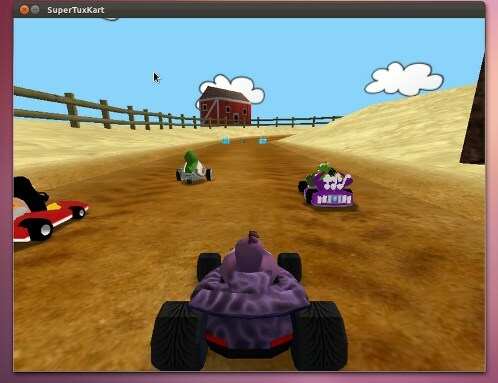 Trigger Rally is a fast open source racing game for Linux users. It is a lightweight game and very easy to play. Although, the number of tracks and vehicles available in the game (by default) may not be sufficient for some users but it’s not difficult to add a new one. The game is based on OpenGL. PNG (Portable Network Graphics) is one of the most popular image format used over the web – most of the graphics designers uses png format for designing logo of a website or in computer artwork (because PNG is more suitable for computer generated images). Optimizing image is a good practice in modern web development/work because it will allow the pages to load much faster due to reduced image size. Google also recommends all web masters to use optimized images for faster loading of pages and you may already know that SPEED is one of the most important thing to consider while designing a website or a web application. Now, you understand the importance of optimize image – but there should be a balance between the quality and the size of an image. Loss-less compression is what most people prefer while compressing/optimizing an image. On Linux based operating systems such as Ubuntu, Linux Mint, Fedora, OpenSuse, PCLinuxOS etc you can also use GIMP with save for web plugin to optimize png images (it also supports other popular image formats such as JPG, GIF etc). GIMP (with image optimizer plugin) is good when you have few image but what you will do if you want to optimize hundreds of png files because because it doesn’t support batch optimization. That’s where the OptiPNG comes in, a great tool to optimize PNG image. 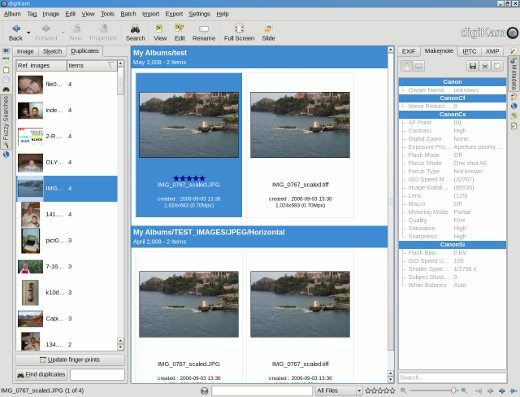 OptiPNG is a an open source and cross-platform image compression/optimization tool. 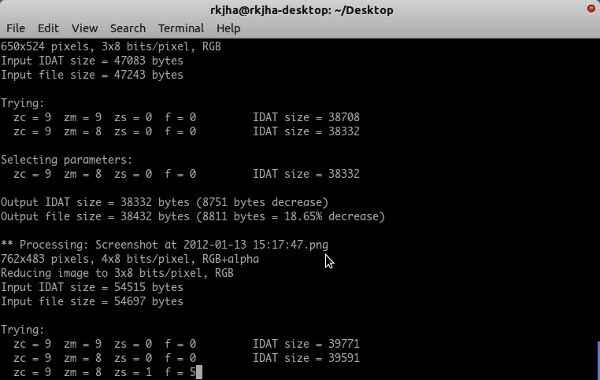 It supports batch processing i.e you can optimize bulk of png files in one simple command. It is very powerful application, as it provides you a lot of options such as compression level (1-7) where 1 is minimum and 7 is the maximum compression level. Page Speed (by Google Inc) – one of the most popular website optimization plugin/tool, uses OptiPNG for optimizing png files. Other user can download it from the official website. Primarily it’s a command line tool but front end for various platforms are also available, pretty useful if you don’t want to get your hands dirty with Terminal. To optimize image you can just give the file name as argument or specify compression level and other options. Just type optipng at terminal to see the help and options available for this tool. it will optimize the image and overrite the existing one, with default speed and compression level. Ubuntu or any Linux based distribution has very bad history regarding the graphics card compatibility and performance (The reason is obvious, driver manufacturers do not provide driver softwares for their graphics card..), but in past few years I’ve noticed some nice changes and improvements which is worth acceptable. Since Ubuntu is the most popular desktop distribution, so now a days, it’s not a difficult task to find a good video card well compatible with Ubuntu 11.04 (Natty Narwhal) or 10.10 (Maverick Meerkat) or 10.04 LTS (alias : Lucid Lynx). Most of the graphics cards will be auto detected by Ubuntu (Just after the installation of Ubuntu 11.04/..). 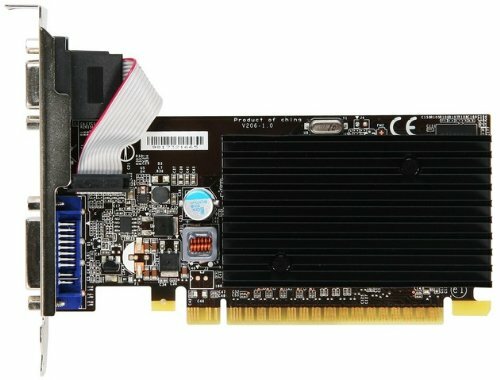 In this post, you will learn how to select a graphics card for you Ubuntu computer, depending on your need and budget. If you are a normal users and think that I do not need any graphics card, then also you would probably have to purchase a graphics card because of the 3D effects of unity desktop (Although you can use classic desktop instead and turn off the compiz effects to go smoothly). By the way there are other advantages of using Graphics Card – such as better video quality (which in turn means that watching movies will be more Fun! ), a lot of funky 3D effects, better system performance (due to dedicated video memory or GPU (Graphics Processing Unit)), and of course – good for video game players because you can play more games in better ways depending on the power of graphics card. 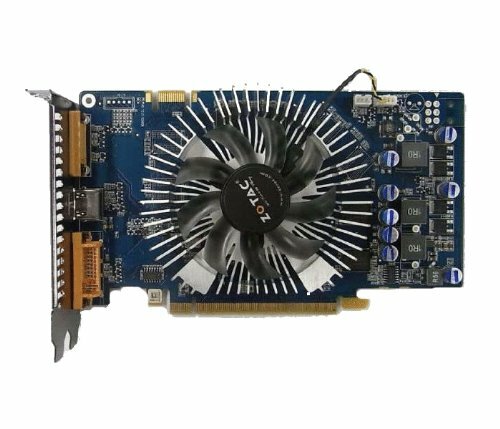 Nvidia 8400GS – 256MB is one of the Cheapest graphics card and well suitable for the users who want to purchase just a graphics card for enjoying some 3D effects with Ubuntu desktop. it will be automatically detected by the Ubuntu and all you need to do is to Enable the restricted driver, and reboot the computer! 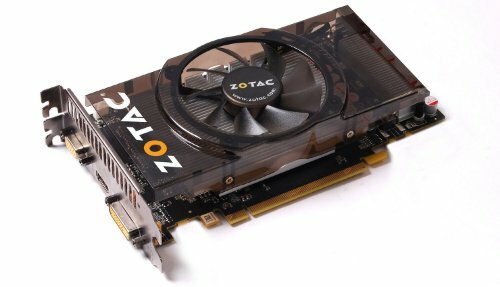 ZOTAC Nvidia Gefore 9800 is a good graphics card for novice gamers and users who wants little more than 3D effects on Ubuntu 11.04. it is also detected automatically, for 3D you need nvidia-glx; works with version 180.44. (More Help in installing Binary Driver on Ubuntu). ZOTAC Nvidia Geforce GT 250 is good for moderately advanced level gamers (little better than entry level graphics cards), comes between the entry level and high end graphics cards. GT 250 is automatically detected by Ubuntu and 3D requires nvidia-glx (More Help). Blender 2.57 Released – Download Now! The overall design and new GUI controls indicates a lot of improvements in this version. Blender is a very useful tool for graphics designers /game developers. Blender is mostly used for 3D modelling,Animation,Rendering,Real Time 3 Dimensional game creation, shading, rigging etc. 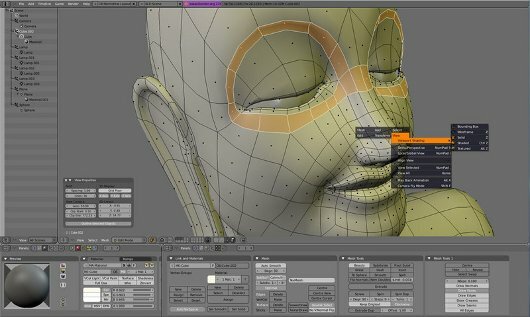 If you are new to Blender or 3D modelling and want to learn, then here is the best resource – free online tutorial available through its official website. Open Source Softwares/Applications are now becoming the most appropriate choice for students,designers,programmers,developers and common desktop users, not only due to the reason that most of them are freely available but also due to the fact that – they can customize a open source software, in a better (due tis open nature i.e source code is open to all) way than a closed source(proprietary) software. Open Source software and technology is specially helpful for beginners (May be a student or a startup (Think for a Minute, if you want to learn how to develop a web apps then(for some designing stuffs) would you like to invest thousands of dollars on Adobe Products(e.g Photoshop) or you will go for some FOSS(free and open source software) alternatives like GIMP) ) because it allows them to complete the task without compromising (sometimes a little might be accepted) with the quality at zero or negligible cost. Linux based operating systems have a dominant position in web server market (Red Hat Rocks) and now they are approaching well (due to some user friendly Linux distributions like Ubuntu(10.04/10.10 or upcoming version 11.04) and Linux Mint(Latest Stable version -10-LMDE)) towards the desktop market. Most of the open source Applications are cross-platform(available for Linux based Distros,Windows & Mac OS X ) , some of them are very popular like Mozilla Firefox,VLC Player etc, while some are less popular on non Linux platforms. I’ve been using open source softwares(both on Windows/Linux) from three years and based on my past experience, I have come up with my favorite – top 10(cool and awesome) collection of best free and open source softwares,specially useful for graphics designers/developers. 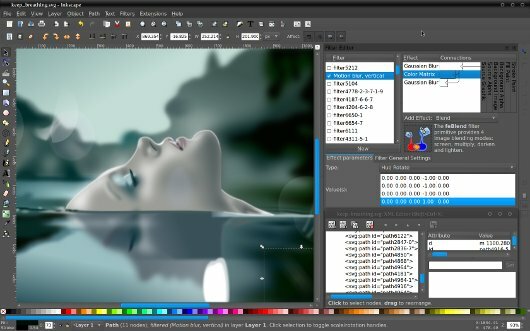 GIMP(GNU Image manipulation Program) is the best free image editor available for all platforms. 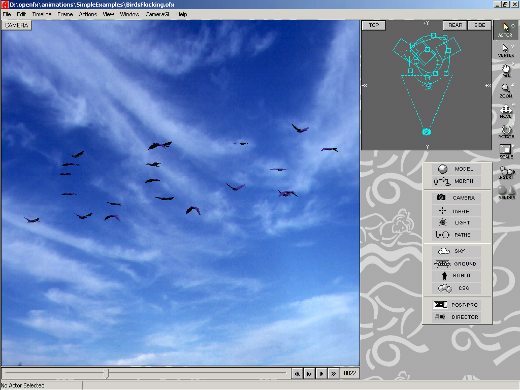 GIMP has a lot of features and options; it is just equivalent to Adobe Photoshop. GIMP has been developed and maintained by GNU Foundation. Download GIMP (Windows/mac Users). GNU/Linux users can install gimp directly from the package manager or from command line. 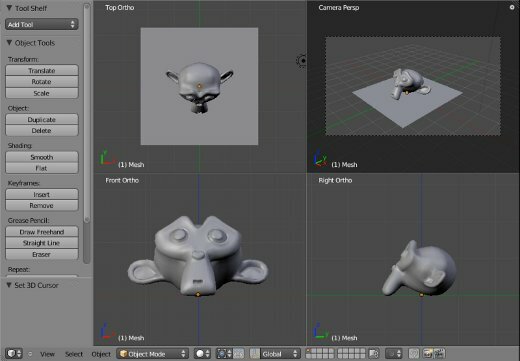 Blender is the most popular free and open source 3d modelling tool. it has very sophisticated features with a simple and easy to use graphical user interface. Blender is very popular among game developers and 3d graphics designers. it supports a lot of animation and gaming effects. On Ubuntu or any other Linux based os it is available in their respective software package repository, while windows users can download it from the website. Inkscape is an open equivalent of Illustrator or CorelDraw or Xara X. it uses SVG(Scalable Vector Graphics) format(W3C standard); it has nice GUI with a lot of advanced features(e.g Alpha Blending,Markers,Clones). If you want to learn more, then free documentation is available online, on its official website. The current stable version is 0.48.1. Ubuntu or GNU/Linux users can find them at their respective package repository, while Windows or Mac users can download it from its official website. 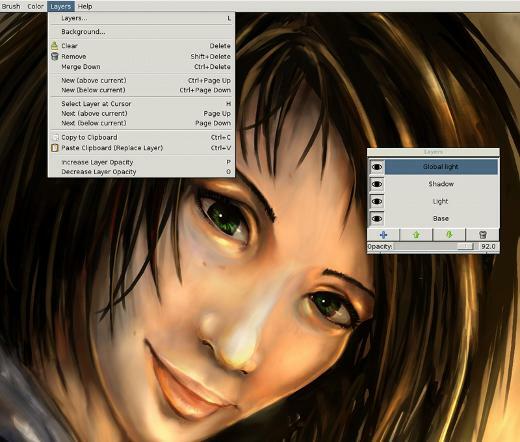 MyPaint is another paint program with a lot of features. The main advantage is that – myPaint is very fast; it’s easy to use and focus mainly on the Art instead on the application itself. 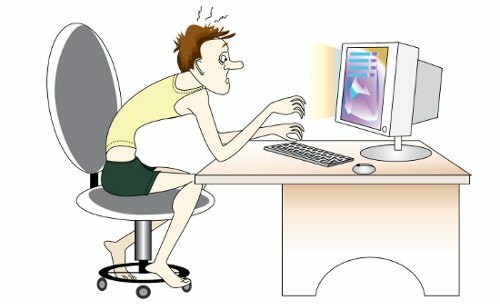 So it is specially useful for artists and graphics designers who want to concentrate on their art,work on Canvas with minimal distraction(from the overloaded features or unwanted functionality of the software). It has a large collection of brushes installed by default. If you want to use myPaint then first go through its basic usage tutorial (it will take less than 15 minutes to complete) and install it to give it a try. 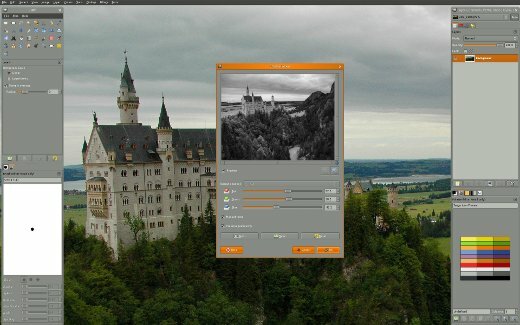 digiKam is an advanced digital photo management software, available free for all platforms(Linux,Windows and Mac). 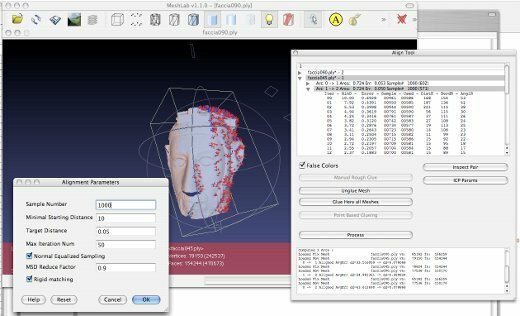 it has very sophisticated graphical interface with a lot of advanced features(Face recognition features has been added recently in version 2.0). Ubuntu or GNU/Linux users can easily install it in one click from the package manager or Software Center, while windows or mac users can download the binary executable from its official website. Another Drawing program developed by forking the popular software – ‘open office Draw’. Therefore it has all the features of ‘OpenOffice Draw’ with some improvements. it is very useful for simple sketch,flowcharts as well as for complex plans. 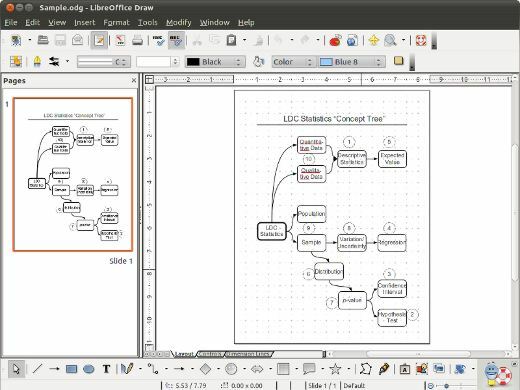 To install libreOffice on Ubuntu or any other Linux Distros, First you have to uninstall the open Office components,then download the required package(e.g Debian package for Ubuntu or Linux Mint) and install it. 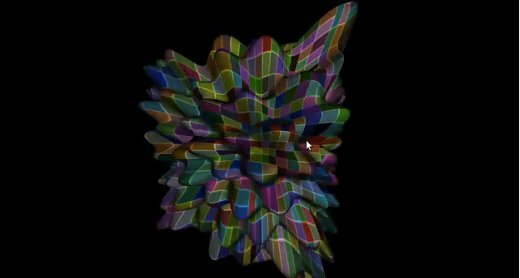 OpenFX or simply OFX is a 3D Modelling, animation and rendering suite, available free under GPL. Currently it’s available only for Windows but you can run it on Linux platform by using Wine (For Help on installing Wine on Ubuntu). 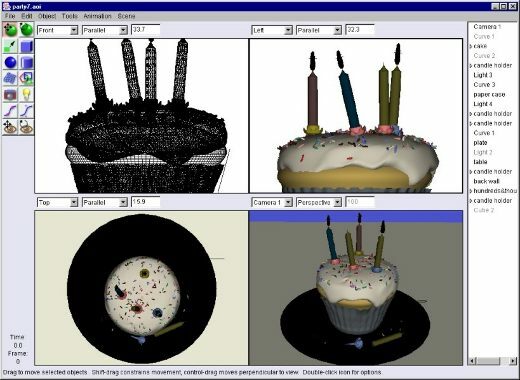 Art of Illusion is 3D Modelling and rendering studio,available free as an open source software for all common platforms – Linux, Windows, Mac and Unix. The latest stable version is 2.8.1, released last year. it is mainly used for skeleton based animation and as a surface modelling tool. These are my favorite graphics and design related softwares, if you think that,I’ve missed some good graphics software(of course ‘Open Source’!) then feel free to recommend or share your experience through comments. Have Fun!